The Inflammatory Arthritis research program focuses on biomarker discovery and novel imaging platforms to 1) establish early disease of immune mediated inflammatory arthritis, 2) improve stratification of patients with regard to disease burden and prognosis, and 3) improve upon therapeutic options to personalize treatment over the existing trial and error approach. To this end, we have built several disease specific biorepositories which contains over 15,000 samples to date. This biobank provides a valuable, ample resource for the investigation of mechanisms of disease, targeted therapeutics and identifying comorbidities associated with these conditions as well as discovery and validation of candidate biomarkers. Furthermore, we are refining imaging techniques in this patient population to allow for early detection of inflammatory changes as well as detecting active disease. Point-of-care novel imaging will enable future research on earlier diagnostic methods, identifying associated comorbidities, and improved treatment algorithms for immune mediated chronic inflammatory arthritis. The Post-traumatic Osteoarthritis research program focuses on identifying novel ‘biomarkers’ (risk factors) that provide reliable early diagnosis and prognosis of post-traumatic osteoarthritis (PTOA) development after joint injuries. Our multidisciplinary team investigates cohorts of human subjects as well as laboratory models of PTOA, using clinical and patient-reported outcomes, clinical and advanced quantitative imaging, gait analysis and biomechanical modeling. Conventional multivariate analysis as well as machine learning techniques are used to build models that predict long-term outcomes after injury and non-surgical or surgical interventions. By identifying modifiable predictors of PTOA development after joint injuries or surgery, our goals are to provide guidance for future development of novel interventions to reduce and prevent PTOA, help clinicians stratify subjects with regard to their individual risk of developing PTOA and improve clinical care in a directed and evidence-based way for this young and active population. The Degenerative (Primary) Osteoarthritis research program focuses on understanding primary osteoarthritis at a basic level. Many features of osteoarthritis are similar in all patients. However, individual patients vary widely in the severity and underlying cause of joint degeneration. This personalize approach guides our work in developing novel approaches for diagnosis, patient assessment and treatment. We integrate several disciplines to prevent or delay the progression of the disease, and work on options for both surgical and non-surgical treatments. Our aim is to find treatments that prevent arthritis and restore joint function. Our team integrates basic science, translational and clinical research. This begins with novel tools for measurement of stem cells and progenitors, non-invasive structural and functional imaging, and molecular tools that illuminate the physiopathology and biomechanical factors that control joint development, healthy joint function and the onset and progression of disease. The Arthroplasty research program focuses on identifying the demographic, disease-related, and surgical factors associated with short- and longer-term clinical outcomes following joint arthroplasty of the hip, knee, and shoulder, including potentially modifiable factors.Our approach utilizes both retrospective and prospective arthroplasty cohorts at our institution to allow for investigation of both short and longer-term clinical outcomes in primary and revision arthroplasty surgery. Our aim is to advance clinical outcomes and implant survivorship in total joint arthroplasty, by improving clinical decision-making, patient selection, proactive management of social and disease-related variables, and by optimizing surgical methods and processes. We have developed and utilize unique research tools to achieve this aim, including synovial fluid biomarker analysis in the setting of periprosthetic joint infection and post-operative three-dimensional CT imaging analysis of implant position over time. Our research program involves collaboration of faculty across orthopaedic surgery, biomedical engineering, radiology, pathology, and biostatistics. The Regenerative Therapies research program is focused on advancing patient care through development of new strategies for preservation, repair, regeneration, augmentation, or replacement of musculoskeletal tissues. Our ongoing health requires continuous renewal of the cells and tissues that we lose to degeneration, injury or disease. Regenerative Therapies integrate cells, scaffolds, environmental signals, nutritional support and/or mechanical stimuli into effective biologic therapies. All new strategies require detailed critical evaluation in the laboratory, as well as rigorous, honest, objective and critical assessment in patients, before they can be confirmed as safe, effective, and useful in improving our patient’s health and lives. To accomplish this goal we have founded the Cleveland Clinic Joint Preservation Center (JPC). The JPC integrates clinical expertise in the emerging field of cellular and other biological therapies, in an environment of careful measurement, partnering with our patients to advance the future of musculoskeletal care. The Fracture Repair program focuses on identifying the effects of metabolic disease, chronic unloading and weightlessness, and the systemic and local biologic factors that influence the rate and extent of bone healing. It seeks to better understand and optimize new biologics and non-invasive biophysical treatments to promote better bone quality and augment fracture healing. The major tools used to assess bone healing in animal models are in vivo micro-CT and micro-MRI imaging, bone histomorphometry to assess bone cell populations and their functional activities, biomechanical testing to assess mechanical strength and healing extent, and correlation of all these outcome measures with one another to evaluate functional relationships. We utilize primary cultures of bone- or fracture callus-derived cells for culture experimentation to assess cellular and molecular mechanisms, and bone marrow derived connective tissue progenitors (CTPs) to assess osteochondral capabilities. The Osteoporosis research program focuses on the loss of bone structure and function due to metabolic dysregulation of bone remodeling. Basic research focuses on developing new therapies to stop this loss of bone structure and function. Clinical care in the Center for Osteoporosis and Metabolic Bone Diseases reviews more than 12,000 bone densities every year to identify patients with low bone mass that might require treatment. Bone density results have been integrated into the electronic medical record to identify at risk patients for fracture. The Center has been involved in national and international clinical trials of drugs including anabolic agents, antiresorptive agents, and combination therapies. The Center participated in trials assessing bisphosphonate holidays, and costs and utilities related to osteoporotic fractures. Quality improvement projects are ongoing to better evaluate and treat osteoporosis patients. The Center has an ongoing interest in identifying patients with hypophosphatasia, a genetic condition with bone and musculoskeletal manifestations. The Program for Advanced Musculoskeletal Imaging (PAMI) is built upon Cleveland Clinic’s nationally-ranked clinical care and research programs in orthopaedics, rheumatology and imaging. Our mission is to advance musculoskeletal imaging for improved orthopaedic and rheumatologic healthcare through technical development, clinical translation, and education. Novel imaging and image processing techniques are being developed and validated for improved structural, biochemical, and functional assessment of musculoskeletal tissues (cartilage, bone, tendon, ligament, muscle, fat, etc.). 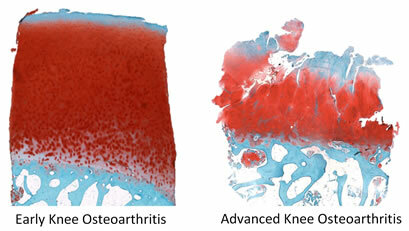 PAMI also strives for rapid clinical translation of state-of-the-art imaging techniques into routine clinical use to improve early diagnosis and prognosis for patients with significant musculoskeletal diseases. In addition to technical development, PAMI has a particular emphasis combining quantitative imaging, advanced data analysis methodologies (including big data analysis) and machine learning techniques. PAMI embraces all imaging modalities including MR (3T and 7T), CT, nuclear medicine and ultrasound. The Carpal Tunnel Syndrome research program focuses on carpal tunnel biomechanics and hand sensorimotor function centered on carpal tunnel syndrome. Our work related to carpal tunnel mechanics involves studying the material and mechanical properties of the transverse carpal ligament, investigating the structural properties of the carpal tunnel, creating computational models for the tunnel complex, and applying biomechanics principles to treat carpal tunnel syndrome. Related to hand sensorimotor function, we have been examining hand and wrist pathomechanics and pathophysiology associated with carpal tunnel syndrome. The Neuromuscular Disease research program focuses on disorders, degeneration and injury of the nervous system and the musculoskeletal system, and how deficits in one impact operation of the other. Our group explores relationships between the nervous system, muscles, and bones, including sensorimotor control, movement patterns, coordination, dexterity, and pain. Through better understanding of these relationships, we seek to develop interventions and improve diagnosis in a variety of conditions such as Parkinson’s disease, multiple sclerosis, concussion, limb loss, diabetes, and cartilage and ligament injuries. We analyze healthy and impaired populations using motion analysis, ultrasound imaging, magnetic resonance imaging, electromyography, electroencephalography, and psychophysical techniques to understand how various conditions affect movement, control, and sensory feedback. Computational modeling helps characterize pathology as well as the influence of surgical and rehabilitation interventions. In addition, we incorporate technologies, such as robotic devices and deep brain stimulation, into treatments and quantify resulting benefits to patient health and quality of life. The Rotator Cuff Disease and Repair research program focuses on identifying the demographic, disease, and surgical factors, as well as local biologic factors such as stem and progenitor cell characteristics and inflammatory biomarkers, which influence healing and clinical outcomes following rotator cuff repair. Our aim is modification of key factors, either pre-operatively or through surgical treatment, leading to better clinical decision making, patient selection and improved outcomes. We also investigate extracellular matrix (ECM) scaffold technologies as a surgical treatment strategy for enhancing healing following rotator cuff repair. We utilize traditional MRI together with novel CT based imaging of radiopaque markers to measure tendon retraction and understand the relationship between structural healing of the tendon and clinical outcomes following rotator cuff repair. Further, we are currently developing imaging biomarkers to quantify local bone marrow ‘quality’ and guide decision-making about tissue healing potential and the need for cell-based therapies.